Get Your Personal Charcoal Drawing in 2 Days from your home! It's Fun, Fast, and Easy! Make someone special with an artwork created after him/her. A one of a kind portrait just for him/her. quality print within a week. Get yours now before I am fully booked! Thank you! I will contacting you as soon as possible! A timeless commission portrait that's as easy and fun as a selfie! A digital artwork that last forever. A commission portrait used to be a daunting project. Now it's easier than ever. You don't have to awkwardly sit for hours. You can get a beautiful digital drawing that looks just as authentic and artistic as a real charcoal drawing. You get both digital file to share and high-quality print to display. Fully framed with archival mat, white wood modern frame, and anti-UV plexi-glass. Pet portrait is also very popular. Additional fee will apply for more people in a single drawing. We will discuss the cost and explore the best option for you! Q: How is the portrait done? A: The portrait is done completely with Procreate on iPad Pro. Q: What's the benefit of everything done digitally? A: It is fast and I can deliver it to you instantly. You will also be getting a full resolution image file for you to show off to your friends and family! Another huge benefit is that digital files last forever. If your print is damaged or lost, you can have a new print ready within a week! Q: What if I don't have a good photo? A: You probably already have some good photos to work with on your Instagram! If you don't have Instagram, don't worry; I will provide instructions for you to take a good photo with your phone or camera! Q: Can I have more than one print to give out? Q: I'm interested! When can you start? A: I can get started within 24 hours if there is an opening. Get yours now before I am fully booked! Any more questions? I’ve got answers. Feel free to send me an email to eric@cafewatercolor.com. The best ways for me to express you love to someone special. Large size and multiple portrait is available for additional cost, contact me and we can discuss the perfect option for you! You might already have a perfect photo that can transform into a drawing! 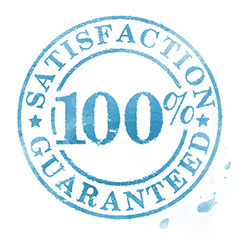 Satisfaction guarantee! If you are not completely satisfy with the drawing, I will refund your money 100%. I believe in the quality of my artwork, but if for any reason you are not satisfied with the drawing BEFORE delivery, I will refund your money 100%. No questions asked!